You are at:Home»Featured»(NON-SG) HUSBAND HAD TO PAY 10K RM TO SAVE SAMYANG ADDICTED WIFE! 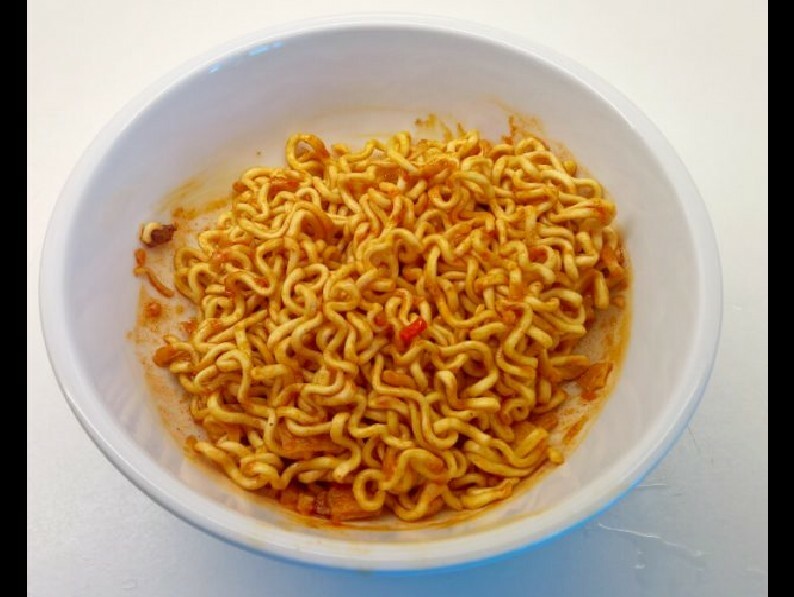 His wife, who is addicted to Samyang’s extra spicy noodles, was admitted to hospital over her addiction. She first started trying Samyang’s spicy noodles which was introduced to Malaysia 3 years ago and from there, she got hooked. She would always finish the noodles without having any sip of water. Then one day, she had a severe stomachache which was so bad, she could not get up from bed. The husband rushed her to the hospital. He was made to pay the amount of 10,000 RM for a camera to be inserted into her stomach. They found out that her stomach lining has gone bad. Netizens who saw this story also began telling their own stories about this noodle which has caused other similar cases. If you know a friend who is addicted to these noodles, please advise them. Previous ArticleID NOT PROMPT, LOUSY WORKMANSHIP. STILL DARE TO BULLY ME!